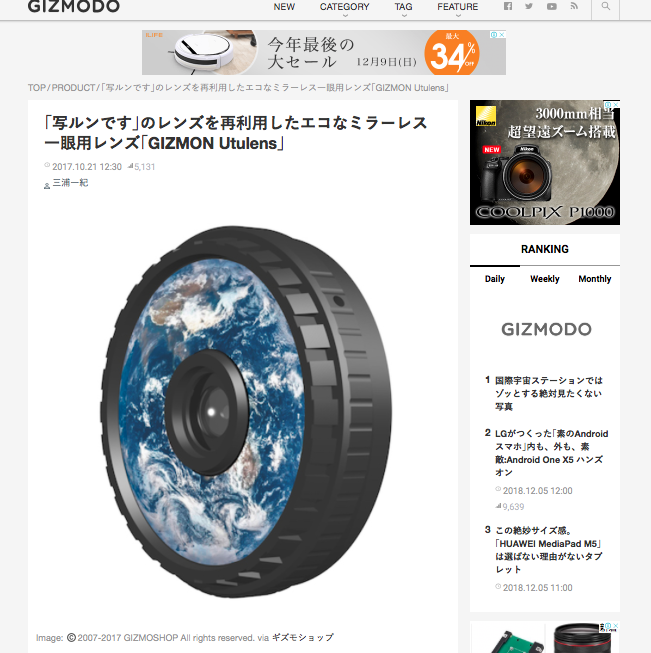 “GIZMODO JAPAN” did a review of GIZMON Utulens. Previous Article “DIGICAM Watch” did a review of GIZMON Utulens. Next Article brand new “GIZMON Wtulens” has been released.